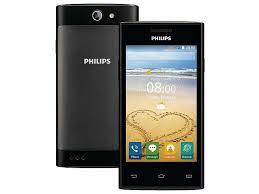 This is full firmware for Philips S309 Single Sim (MT6572 processor), 4 GB ROM, 1 GB RAM, Romanian version of the phone (hardware CTS309/NBOECPRO, software version Philips_s309_1531_V02_RO). I don't know if it will work on the phones released in Russia, China, India, Vietnam, etc. Although unlikely, they <could> have different hardware – only Philips knows. The ROM is full backup, except for NVRAM file which I can't share because it has my IMEI inside. If this ROM saves your phone and you formatted the NVRAM partition (and the phone has no network or no IMEI), restore it afterwards with the included SN_Write_Tool. It is not rooted. To root, use kingo root 1.4.0.2390. I tried with other versions and it didn't work. Do not use if you have 8 GB ROM memory or a different phone version! Don't flash your phone if it is working. If you still want to flash a working phone, back it up first completely (see instructions on Youtube). YOU HAVE BEEN WARNED! - Select "Download Only" or if upgrading, "Firmware upgrade"
- Press the Download button, connect your phone to the computer via USB data cable then insert battery back. A red progress bar must appear, then wait until a green circle appears on screen. If the red progressbar doesn't appear, pull battery and cable and try this step again. - After green circle appears, you can now disconnect your phone and turn it on. Do not interrupt the flashing process! after instal telephone don.t work.brick.